are harmful to us and should be avoided, but instead of making the smart choice and returning to the diet our species originally ate in equatorial Africa, they've attempted to ape the later-day ancestors who got by living at the margins of the world. The Inuit people of the Arctic regions of Canada, Russia, and Alaska have lived for centuries on a diet predominately made up of animal foods, with 75 percent of their calories coming from fat. They didn't have much choice. Aside from a few berries, seaweed, tubers and whatever other greenery they could gather in their home's short summer, they were left with only animals to hunt. Prior to the large-scale introduction of processed junk food from developed countries, they were known for maintaining trim bodies despite all of their meat intake. Since western food started arriving within the last 80 years, many of them have become overweight and developed overt diseases like diabetes, which Primal Diet followers point to as an indication of where our society is going wrong. 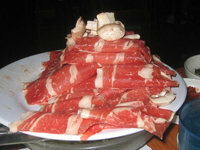 Plenty of meat is fine, they say, it's the processed, cooked food you have to watch out for. Because of this and the example of other meat-centric tribes, primal diet eaters believe the best foods are fatty meats, organ meats, dairy, honey, minimal fruit and vegetables, and coconut, all served raw. There are some variations of the diet that permit more carbohydrates, but most of the food come from animal sources. Unfortunately, claims about the great health of Eskimos prior to the addition of processed foods are overstated. They are not the paragons of health meat-centric dieters want them to be. In his book, "Health Conditions and Disease Incidence Among The Eskimos of Labrador," Dr. Samel Hutton reported on the Inuit before the addition of western foods. He studied them personally from 1902 to 1913, and had access to the detailed birth and death records kept by missionaries from the previous century. Hutton said: "Old age sets in at fifty and its signs are strongly marked at sixty. In the years beyond sixty the Eskimo is aged and feeble. Comparatively few live beyond sixty and only a very few reach seventy. Those who live to such an age have spent a life of great activity, feeding on Eskimo foods and engaging in characteristically Eskimo pursuits." 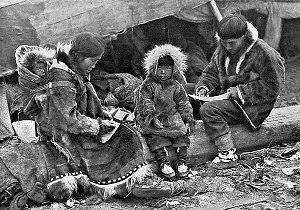 The more you study Eskimo culture, the more you realize it was never free from disease, and, in fact, people of the culture suffered from a number of disorders we associate with meat-centric diets today. The Eskimos were very familiar with constipation due to their low-fiber diet, and they created the spirit Matshishkapeu, the most powerful spirit in their mythology, to embody it. The spirit's name literally translates into "Fart Man." In Inuit stories, he is known to inflict painful cases of constipation upon people and other gods (7). Read why meat causes flatulence and constipation. It's hard to make concerete statements about the health of the prewestern food Eskimos because there is not all that much data on them. Most hunter gatherer tribes have little data available on them from before the 1970s, which makes the insistence of primal diet followers that Inuit were originally healthy so hard to verify. No one has found any great evidence pointing to their good health. Modern day Inuit still eat tons of meat, though, and it's taking a toll. For instance, in 1976, before the worst of the processed food crisis hit them, they consumed 2,000 mg of calcium a day from all the soft-bone fish they ate, a huge amount. All the same, they had (and still have) the highest hip-fracture rate in the world becuase they consume so much animal protein from fish (19). Fruits and vegetables are extremely rich in potassium, magnesium, and calcium, along with other minerals needed for strong bones, but because they are alkaline and not acid like animal protein, they do not strip the bones of calcium to neutralize the acid (20-21). Most green vegetables have calcium absoption rates over 50 percent vs 32 percent for milk (22), but because animal food causes the body to excrete calcium in its urine, the difference is even greater. The more animal protein you eat, the weaker your bones become. Unfortunately, over the last 10,000 years farming civilizations have seized most of the land previously inhabited by hunter gatherers in the equatorial and subtropical regions of the world, where our species had its start. If they were still extant, these would be the people we would do well to study. The Eskimos and other hunter gatherers remaining generally inhabit arctic, subarctic, and desert lands that are not useful for agriculture. The poor quality of their land ensured they were not destroyed, but it also ensured the diet they ate had to be at least supplemented by animal foods, if not predominatly made of it. Except in far northern regions, scientific consensus has shifted in the last few decades from the assumption that hunting provides the main source of food for hunter gatherers to today's view that hunting was merely supplementary (1). In fact, there is no indication of the use of animal foods until the relatively recent appearance of anatomically modern humans (2). How long has the species been hunting? Only within the last 100,000 years, according to one estimate (3), and less than 200,000 according to another (4). Fossil teeth belonging to human ancestors found in eastern Africa suggest a fruit-based diet, and stone tools at a a 1.5 million-year-old site in Kenya were used to process plant materials, not meat (5). Among the !Kung of the mid 1900s, who lived in the desert and supplemented their plant diet with a fair amount of meat (roughly 30 percent of volume), people lived much longer than the average Eskimo. In one study of the !Kung carried out before the large-scale introduction of western foods, out of 466 !Kung, 46 (17 men and 29 women) were over the age 60, a percentage that compares favorably to that of elderly populations in industrialized societies. The elderly among the !Kung were noted for their continued vigor till close to their death, unlike the Inuit, who are considered near decrepit at 50 (6). Several extant hunter gather cultures provide better examples of a healthy primal diet diet than the Inuit. 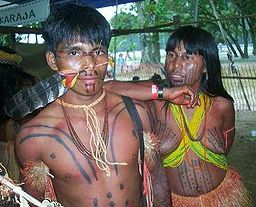 The Yanomamö of the Amazon rain forest have been significantly changed by contact with civilization, but the first anthropologists to visit them there in the 1960s found a group of hunter gatherers who ate an almost entirely vegetarian diet composed mostly of raw and cooked fruit, vegetables, cooked tubers, and a small amount of animal food (8). Their great health and longevity impressed scientists, who have made numerous studies of them. Their freedom from cardiovascular disease and low blood pressure are especially noted (9). Another group called the Trobriander, who live on Kitava, one of the Trobriand Islands in Papua New Guinea's archipelago, is of interest. They may be one of the last groups in the world eating pretty much the same diet their ancestors ate thousands of years ago. The residents of Kitava live on root vegetables (yam, sweet potato, taro), raw fruits (banana, papaya, pineapple, coconut mango, guava, watermelon), many types of leafy green vegetables, and small amounts of fish (10-12). Less than 0.2% of their caloric intake comes from Western food, such as dairy, sugar, grains, and alchohol (13). Their total fat intake averages 20 percent of calories consumed, which is quite low compared to fat intake among industrialized societies or the 75-percent-fat diet of the Inuit (11). It's hard to figure out exactly how long the residents live. Their island is infested with malarial mosquitoes that infect many of the populace, and the lack of adequate medical care means they have a very high infant mortality rate. Still, during one recent study, out of 2,300 inhabitants of the island, 6 percent (138 people) ranged in age from 60 to 95. (14, 15). The 95-year-old woman was in complete possessions of all her mental faculties and reasonably physically active. Inhabitants told researchers no one had ever died from a heart attack or stroke, or even had exertion-related chest pains. Other than falling out of coconut trees, drowning, rare homicides, and various other accidents, they could not recall any cases of sudden death so common in the Western countries. None of the elderly residents exhibited dementia or poor memory. So Where Does The Primal Diet Go Wrong? The primal diet and paleo diet have several flaws, the most prominent being its low intake of carbohydrates from nutrient-rich fruits and vegetables, high intake of animal foods, and, consequently, high fat intake. It's possible very low intakes of animal protein will not impair health or cause disease, but there's a fair amount of evidence showing the more meat you eat, the more disease prone you are. Although primal diet eaters may scoff at studies of modern humans because their diets are otherwise horrible, there are hundreds of studies correlating increased meat intake with increased disease. Even when animal protein intake is extremely low (the equivalent of three chicken nuggets a day), a person's risk of cancer, heart disease, a host of other diseases, and early death is considerably higher than when a person eats less meat (16). One study of Seventh Day Adventists who follow vegetarian diets found men living an average of 83.3 years and women 85.7 years. That's 9.5 and 6.1 years longer than the average Californian lives, respectively. Even those Adventists who ate meat just once a week lived shorter lives than those who ate it once a month (17). Another studied the meat intake of half a million Americans and found the prevalence of cardiovascular diseases and cancer decreased with declining meat consumption while age at death increased (18). Primal diet and Paleo diet supporters claim that even if humans were originally fruivores, the species has evolved to eat meat and our body has adapted to the strains of doing so. We have indeed adapted to meat. One study suggests that up to eight genes in humans allow for greater protection from meat consumption. We suffer less damage from meat eating than we would otherwise because of this adaptation, but this is far from suggesting it's beneficial for humans to eat meat (23). An adaptation does not mean that it will not harm us, but merely that it will harm us less. We have also started producing roughly 6 times more of the starch-digestive enzymes known as amalyze compared to our chimp ancestors because for centuries we've tried to choke down tubers and grains (24). 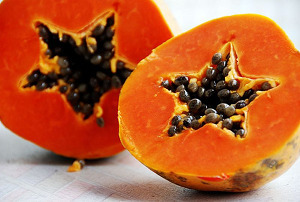 All the same, we still have a great deal less amalyze production capability than true starch eaters like pigs, and starch digestion is still poor compared to our fruit digestive abilities. All the more compelling is the unmistakable fact that despite any adaptation, meat kills us. A basic medical text will tell you that you can cause atherclerosis in humans, monkeys and rabits -vegetarian species - by adding cholesterol, which is only found in animal foods. However, natural carnivore species like dogs and cats are completely resistant (25). The primal diet can't argue with death by clogged arteries. In fact, I think that's really the nail in the coffin of the primal diet. Perhaps William C. Roberts MD, author of 1300 scientific publications, numerous cardiology textbooks, and editor of the American Journal of Cardiology for a quarter of a century said it best. but the experimental animal must be an herbivore. In other words, any creature that can get atherosclerosis is meant to eat plants. Any animal who cannot is meant to eat animal protein. Humans are clearly meant to be plant eaters, and eating a primal diet will destroy us. Even though raw fruits and vegetables play a role in the paleo diet, because of the high intake of meat, there isn't much room for them. This is a huge mistake for anyone interested in longevity and health, as fruits and vegetables keep us young and vibrant. 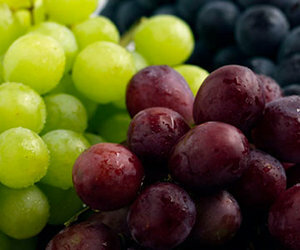 Learn more about the huge role fruits and vegetables play in our health and longevity here. Paleo diets contain way too much fat. The oft-idealized Eskimos get an unbelievable 75 percent of their calories from fat, and this has consequences. Read why high-fat diets are harmful here. I've yet to meet a Primal diet or Paleo Diet practitioner who managed to stay on their diet 100 percent for more than a year. Inevitably cravings send them backed to cooked, processed food, and most often, various types of carbohydrates such as bread and pasta. The reason for the high rate of failure is tied to the fact that we need simple sugars to fuel every cell in the body, from the muscles to the brain, and if we don't take in carbohydrates the body is left in a perpetual state of craving. Find out how you can get satisfied on your diet by controlling cravings with your mind and diet. It just doesn't make sense to think of our ancestors as eating meat-centric diets, nor the pre-contact Inuit as particularly healthy. It would be a far better idea to base a primal diet off of fruit-and-vegetable-centered hunter gatherers like the Yanomamö or Trobriander, who have much better health than the Eskimos. Better yet, anyone would do better fueling themselves with a healthy raw food diet made up entirely of raw fruits, vegetables, nuts and seeds. Find out how this amazing lifestyle compares to the primal diet here. 1) Johanson, Donald and James Shreeve. "Lucy's Child: The Discovery of a Human Ancestor." 2) Binford, Lewis. "Faunal Remains from Klasies River Mouth." 3) Zihlman, Adrienne. "Women as Shapers of the Human Adaptation" in "Women the Gatherer." F Dahlberg, Ed. 4) Binford, Lewis. "Were there elephant hunters at Toorala?" 5) Zerzan, John. Future Primitive, in "Limited Wants, Unlimited Means". John M. Gowdy, ed. 6) Lee, Richard B. "What Hunters Do For A Living." Pg 50-51. Limited Wants, Unlimited Means. John M. Gowdy, Ed. 7) Armitage, Peter. "RELIGIOUS IDEOLOGY AMONG THE INNU OF EASTERN QUEBEC AND LABRADOR". Université du Québec à Montréal. 9) Mancilha-Carvalho JJ, de Oliveira R, Esposito RJ.Blood pressure and electrolyte excretion in the Yanomamo Indians, an isolated population. 13) Becker, W. Svensk kost. 1982, Uppsala: Statens Livsmedelsverk. 15) Lindeberg, S. Apparent absence of cerebrocardiovascular disease in Melanesians. Risk factors and nutritional considerations - the Kitava Study. 1994, University of Lund. 16) Campbell, T. Colin. The China Study. Dallas: Benbella Books, 2004. Pg 80. 17) Fraser G. Ten years of life. Is it a matter of chance? Arch Intern Med 161:1645-52, 2001. 18) Rashmi Sinha, PhD; Amanda J. Cross, PhD; Bary I. Graubard, PhD; Michael F. Leitzmann, MD, DrPH; Arthur Scatzkin, MD. Meat Intake and Mortality. A prospective Study of Over Half A Million People. Arch Intern Med. 2009;169(6):562-571. 19) Mazess, R.B., and W. Mather. 1977. Bone mineral content of North Alaskan Eskimos. Am. J. Clin. Nutr. 27 (9): 916-25; Pawson, I.G. 1974. Radiographic determination of ecessive bone loss in Alaskan Eskimos. Hum. Biol. 46 (3):369-80. 20) Tucker, K.L., M.T. Hannan, H. Chen, et al. 1999. Potassium, magnesium, and fruit and vegetable intakes are associated with greater mineral density in elderly men and women. Am. J. Clin. 69 (4):727-35; New, S.A., S.P. Robins, M.k. Campbell, et all. 2000. 22) Weaver, C.M., and K.L. Plawecki. 1994. Dietary calcium: adequacy of a vegetarian diet. Am. J. Clin. Nutr. 59 (supp. ): 1238-41S. 24) Lucas PW, Ang KY, Sui Z, Agrawal KR, Prinz JF, Dominy NJ. 2006. A brief overview of the recent evolution of the human mouth in physiological and nutritional contexts. J Physiol Behav 89:36-38.